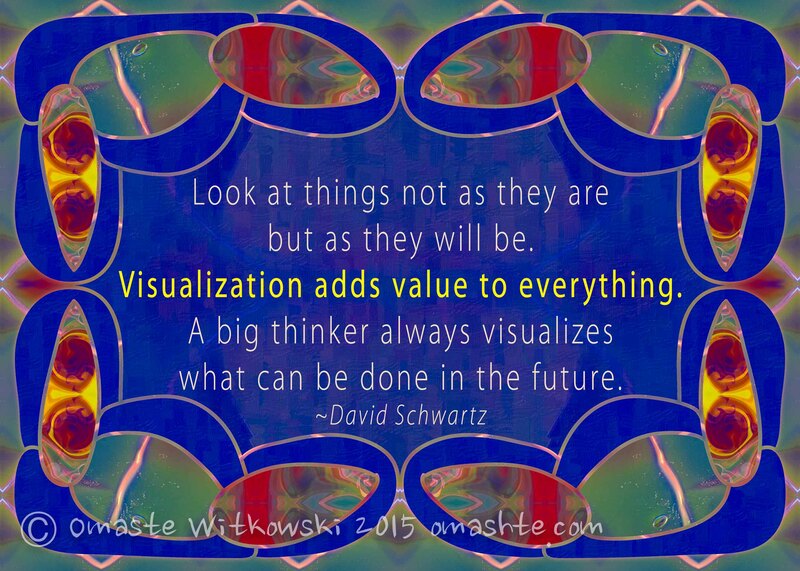 What will you visualize for yourself today? I am finding this to be true in my own life. Every action I take has been a visualized thought brought into reality. What I think about it in a day is what I make happen in a day. Sure there are random events and things out of my control and I do factor those in, but for the most part my day will unfold as exactly as I want it to. The more I slow down my thought processes and identify the unconscious urges, the clearer it all becomes. I am feeling depths of calm and wisdom I didn’t know existed. Disagreements are just opportunities for me to choose what I want to believe and then exist within that belief. I am neither right or wrong I just exist as a unique person in this world. Living for myself and allowing others to do the same. I want to leave the world a better place than I found it and make myself as true to an individual as I can. This begins and ends with me. It is so ironic to find the power to change my life was with me all along. It was just up to me to slow down long enough to find it.